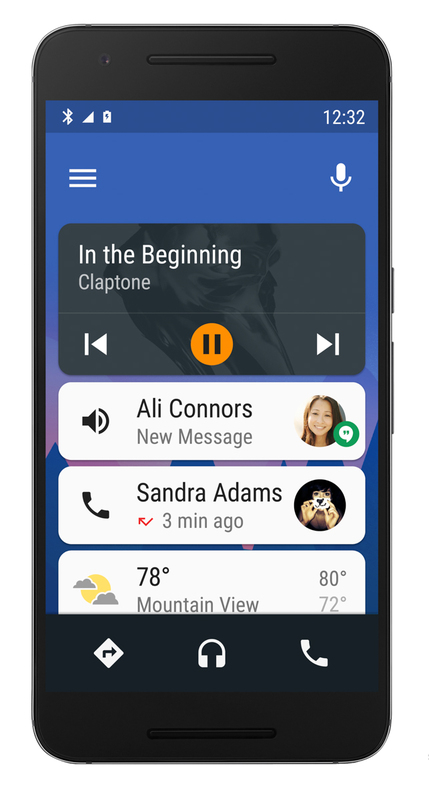 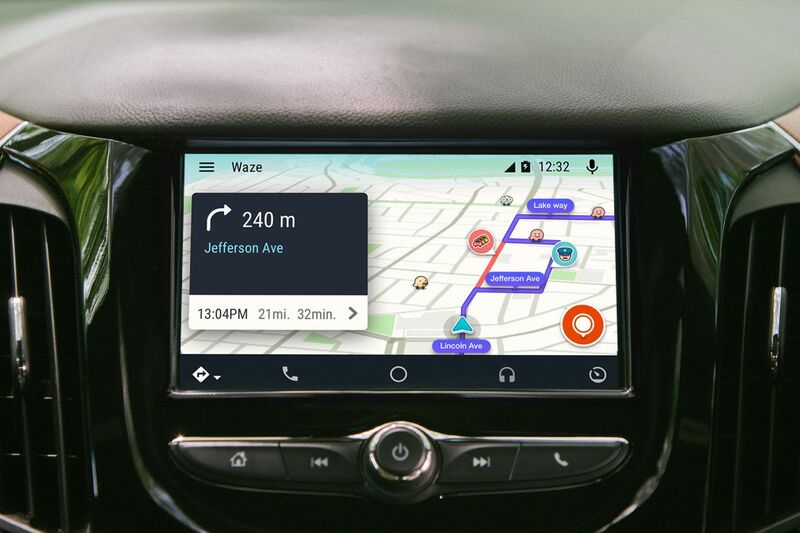 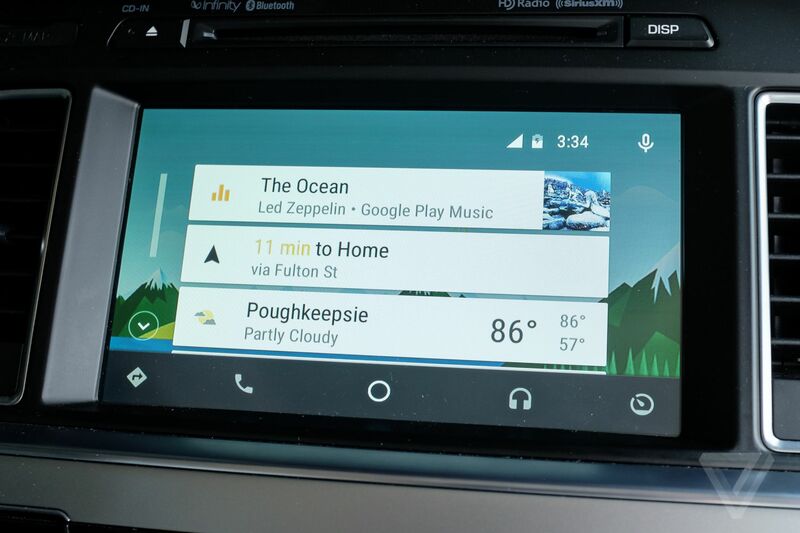 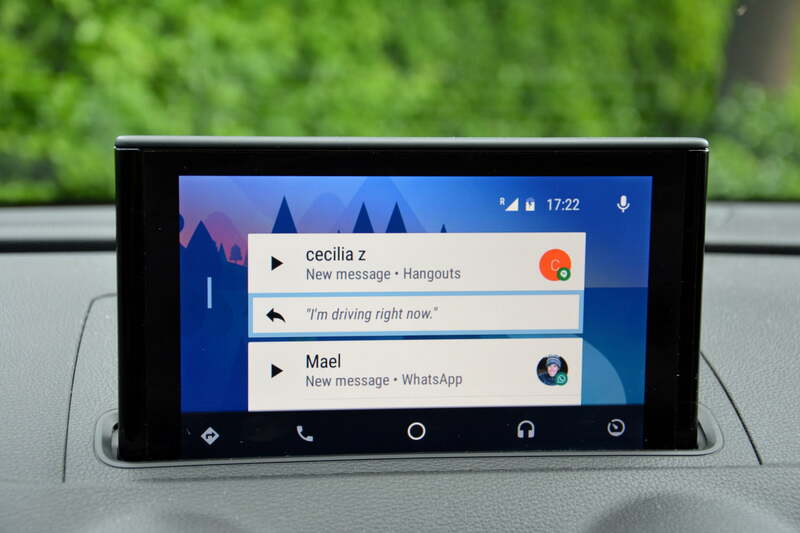 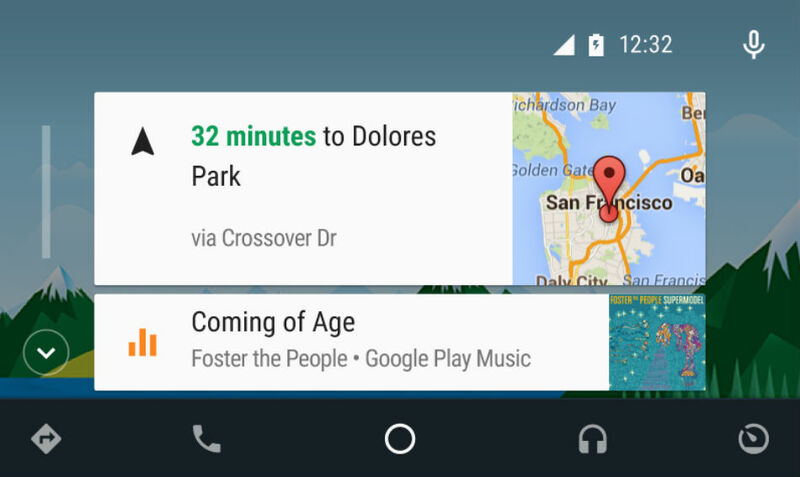 Android Auto automatically brings you useful information - like suggested destinations, upcoming appointments, and weather conditions - all organized into simple cards that appear just when they're needed. 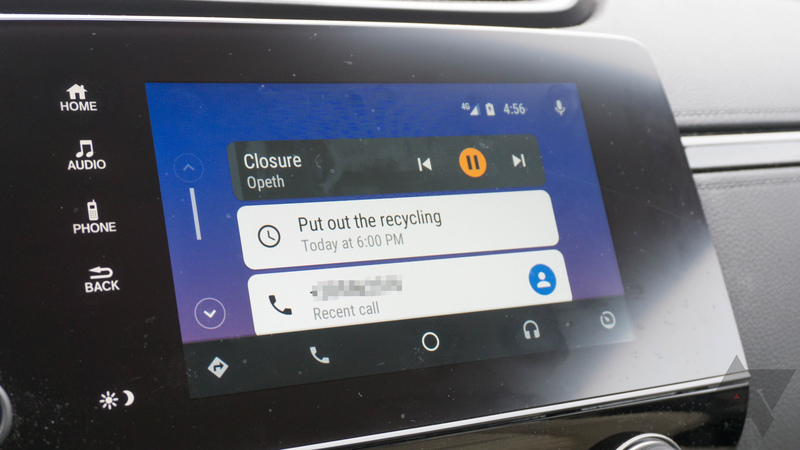 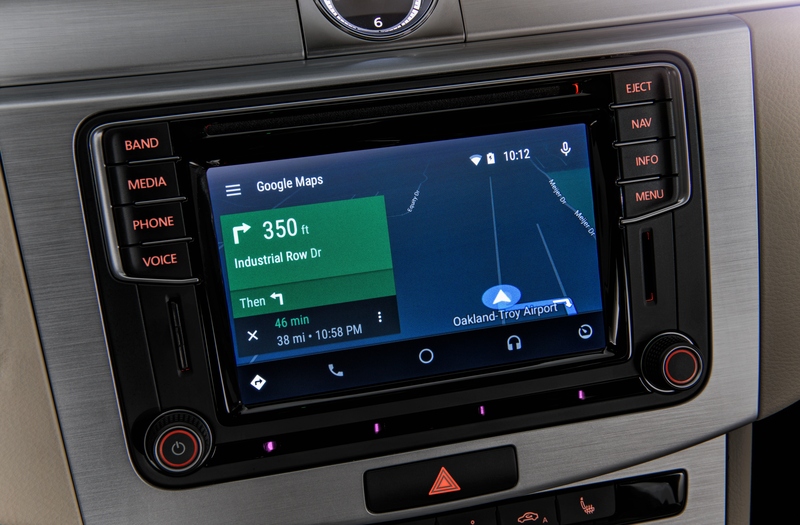 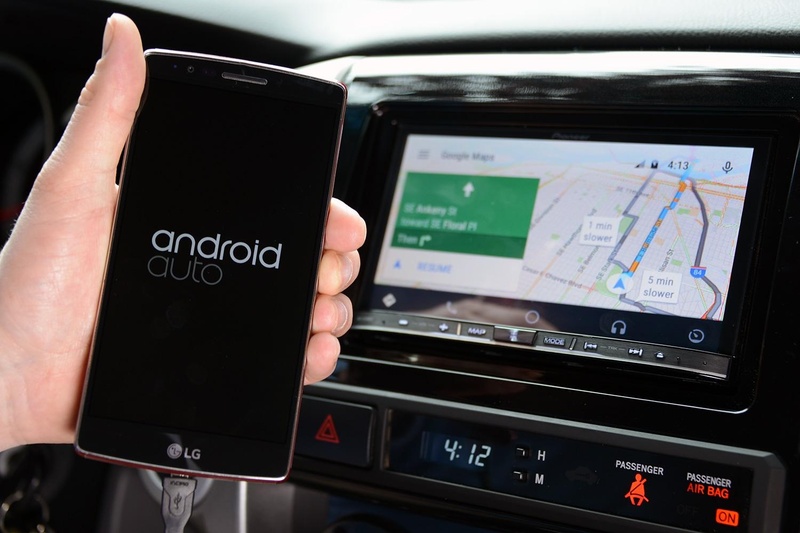 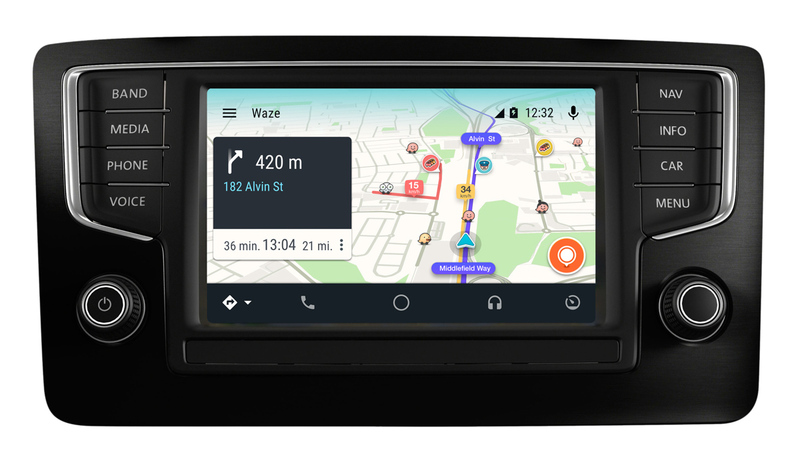 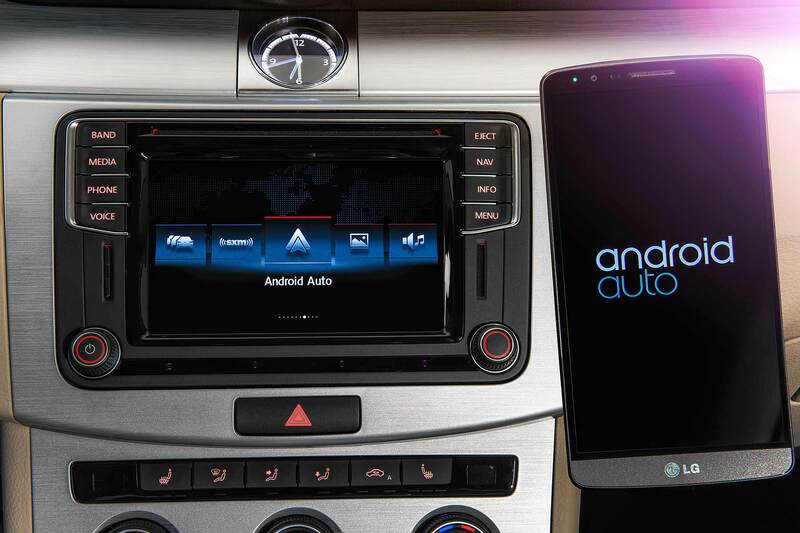 Android Auto is Google's solution for bringing the power of your smartphone to the relatively dumb nature of vehicle infotainment. 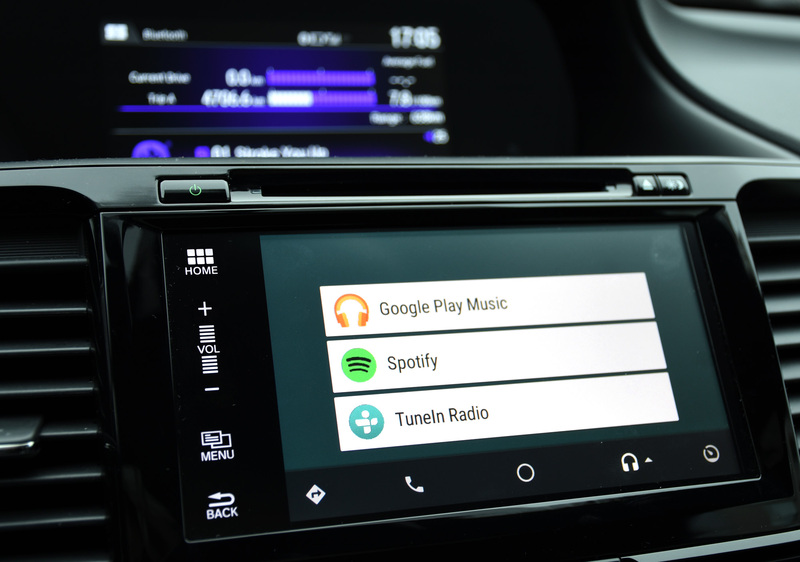 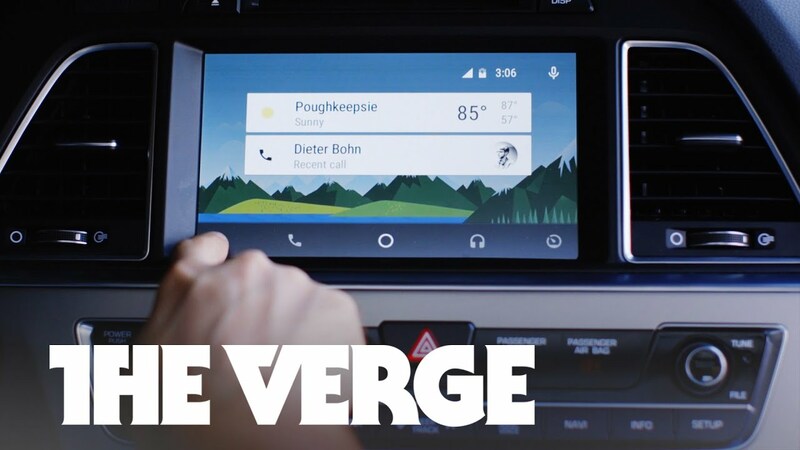 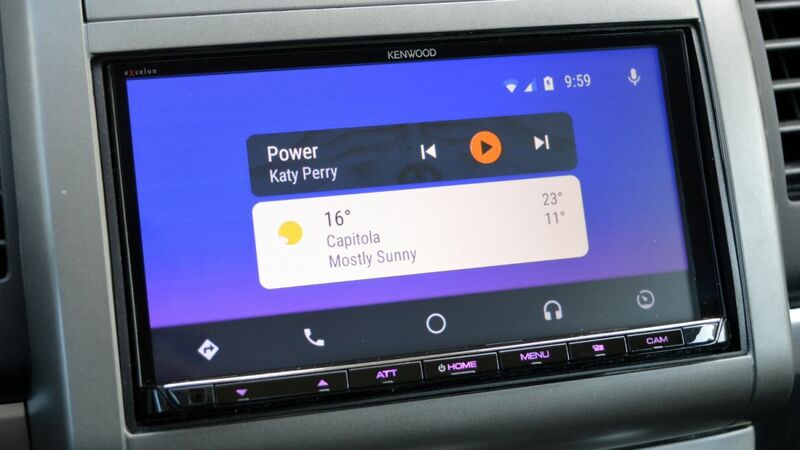 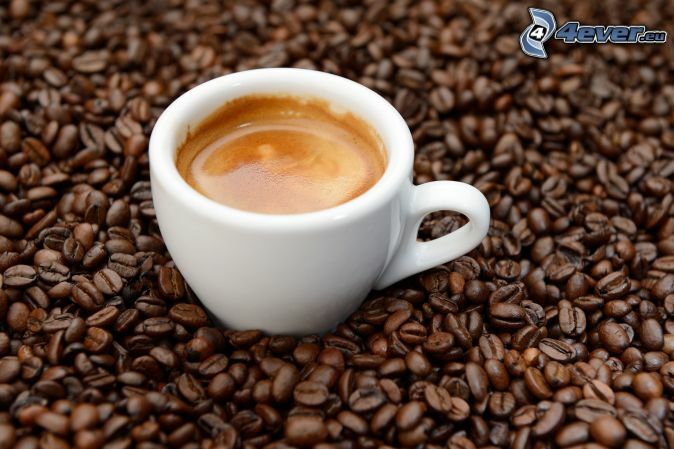 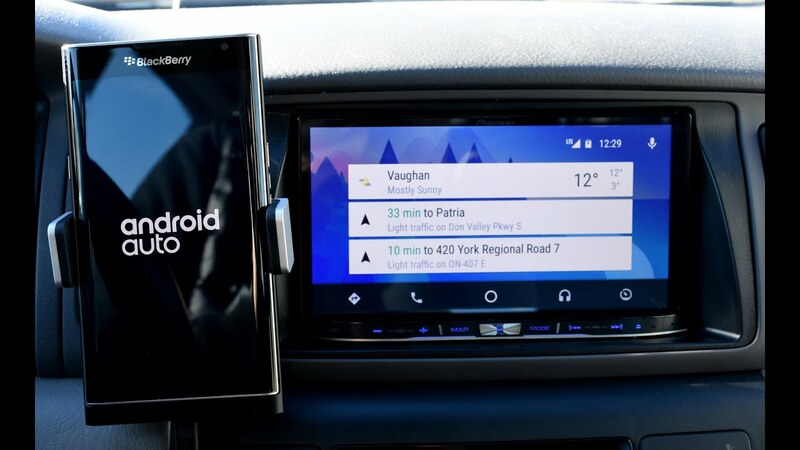 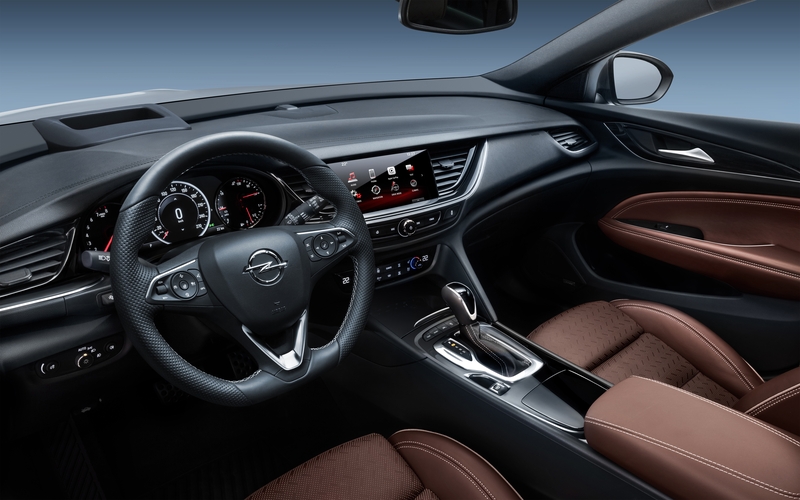 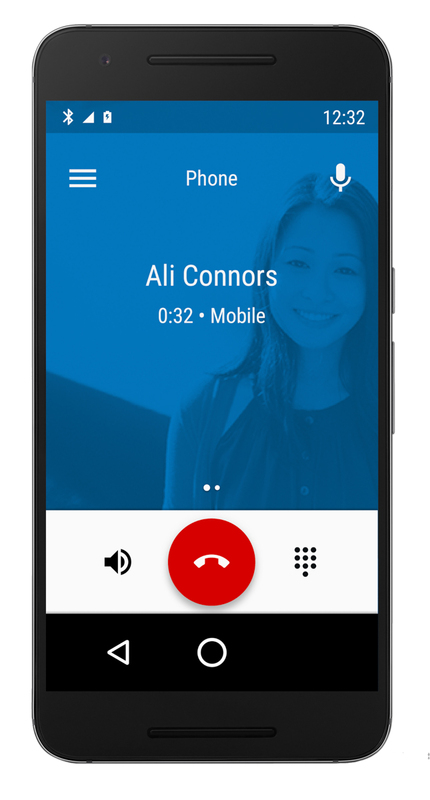 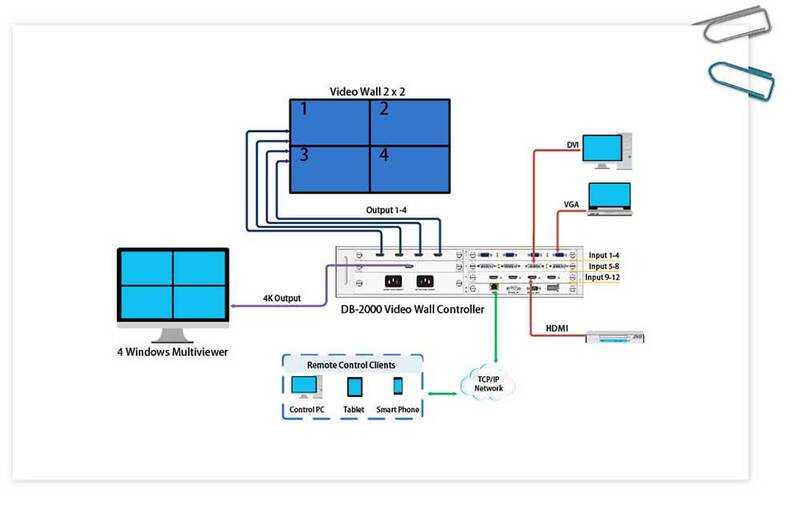 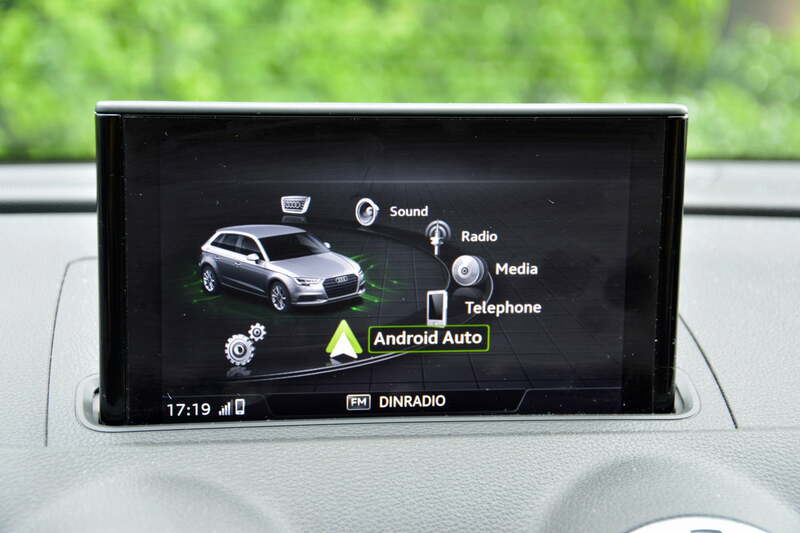 Basically you're using your phone to broadcast a new user interface onto your car's touchscreen, thus bringing the full power of the latest phones to your car.